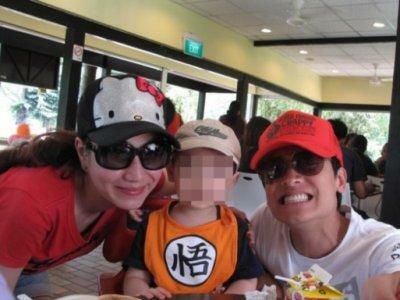 11 Jun - Taiwan-born Mediacorp actor Jeff Wang is in the midst getting divorced with his Singaporean wife, Chen Hui Wen, reports Singaporean news portal Omy.sg. The couple has a son aged 5-years-old. Wang revealed that Chen had sent him the divorce papers recently, elaborating that his estranged wife is demanding the child's custody and his properties in Singapore. In a brief interview with Taiwan-based China Times, Wang cited "irreconcilable differences" as the main reason of their divorce. He added that Chen had always complained that he was not giving her enough money for her living expenses in Singapore. The 36-year-old actor lamented that the duo had often quarreled over various issues in the past four years, however, he said the divorce is neither his nor Chen's sole responsibility. Wang also denied an extramarital affair with Taiwanese actress Liu Zhong-yin and stressed that the rumour has nothing to do with his divorce with Chen.